To some plus size, maternity photography is just the act of having photos taken. To others, it’s an experience that impacts their self-confidence for a lifetime! Sadly, many plus size women don’t have maternity photos taken. 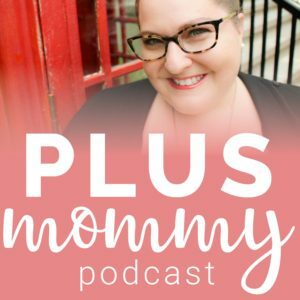 Moms in the Plus Mommy community are coming forward in hopes of inspiring others with their plus size maternity photography stories! 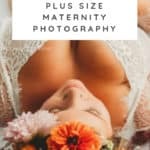 Below you’ll read Moriah’s experience with her milk bath maternity photo shoot and then hear from her photographer Laura of Hazle Moon Photography. I’m so thrilled with how the photos turned out. I really couldn’t love them anymore. While I was excited about the idea of a milk bath photo shoot when my photographer first suggested it, I was also incredibly nervous. I had a hard time finding similar shoots with women my size and was afraid they wouldn’t come out as well. I’ve taken a lot fewer photos this pregnancy and have really struggled with accepting my apron belly and feeling beautiful this time around. I have a 4-year-old and haven’t made the time to cherish this pregnancy the way I did the first time. Laura assured me she’d make me look awesome and I’m so glad I trusted her. She had all these gorgeous flowers and expertly advised me on the best poses and positions, we had a lot of fun. It was so special to focus on this baby and to really honor such a sacred time in my life. I felt like a goddess. I cried when I first saw the photos. I was blown away by the beauty she captured and felt so grateful for the life growing inside me. It was such a gift to see myself in that way, to really feel like a glowing radiant mama. I’m a doula and I so easily find beauty in others, especially expecting mamas, but have not found it to be as easy with myself. I was so surprised by what a photo session like this could do, it has really boosted my confidence and truly encouraged me to be kinder to myself, to gift myself with acceptance and love. It can be scary to be vulnerable and is often well worth it, it definitely was for me in this case. I’m overflowing with gratitude for my incredibly talented photographer and friend Laura Hazelton and for my body for growing this beautiful baby. The Pregnancy and postpartum periods are such a special time and deserve to be documented. I often meet women who express their regret at not having maternity portraits done and it goes by in a flash! No matter what your size, a professional photographer can help you feel amazing about the experience. Everybody has them! Make sure you discuss any insecurities with your photographer before the shoot. I always ask my clients if there is any particular thing they don’t feel comfortable with, so I can be sensitive of this during shoots. No matter who I’m photographing, maternity photography is all about angles, and I use them to my advantage to make the most of client’s figures. are both great choices to emphasize that baby bump! I have a wardrobe of maternity dresses for my clients to use during sessions. These specialty dresses are specifically made for photo shoots and emphasize your beautiful bump. Hopefully, you choose a photographer because you love their style and portfolio. During your session let them direct you and trust that they are going to capture the best “you.” Sometimes I let my clients know that a certain pose may feel a little awkward, but the end result will be amazing! “I have to admit when I first saw the pictures I was sad because I felt like they just looked like a pretty plus size lady, not a pretty pregnant lady. It took me a few days to get over that and really look at them without being hypercritical of myself before I was willing to share them with my family and friends. “I’ve always been too ashamed to take photos with my son because of my weight. We haven’t had pictures done since he was two. But I’ve started to love myself for who I am. We had pictures done last Saturday and I’m so happy we did them. I have not been a fan of my bump this pregnancy and I really didn’t want to but this is our first child together and he really wanted them. He brought me 3 outfits I felt huge and hideous in all 3 but I picked one…did my hair and makeup and off we went. No lie by the time we drove the 40 minutes to the private beach I was feeling much better…almost excited! LOL we spent an hour taking photos in different locations and honestly between my husband and our photographers, I spent the whole hour feeling absolutely gorgeous! Ladies take those photos. 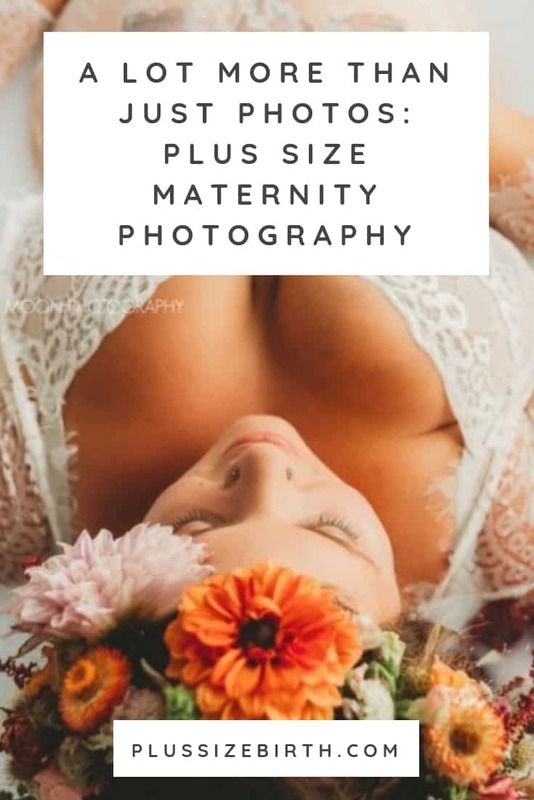 See even more inspiring plus size photography images and stories via the Plus Mommy Instagram page.